In Dallas and Fort Worth, TX and surrounding areas, there are many fly-by-night locksmith services that are only out for themselves with little regard for their customers. At Dallas FW Locksmith, we pride ourselves on the relationship built on trust that we have with our customers. Additionally, there are some services that reputable locksmiths offer that are simply not available with general, inexperienced locksmiths. The first characteristics of good companies like Dallas FW Locksmith is the ability to attain a free quote. Less reputable companies squeeze customer for every dime, and this includes charging for quotes. We, on the other hand, offer up front pricing with fast and friendly service. 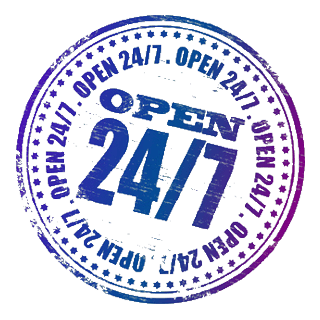 Our 24/7 locksmith service has commercial and residential applications, and each technician has 5+ years of experience. We cater to all key and lock problems with automotive, commercial, and residential high tech solutions. Our complete locksmith service includes the installation and repair of keyless entry systems and other high tech locks. Still, we do offer common practices like changing locks, commercial and residential unlocking, and the installation and repair of traditional deadbolts or cylinder locks. Our company is up to date in the latest technological innovations. The benefit to our commercial and residential customers is that we can service repair and installation for even electronic locks. An added benefit to our residential and business customers is that we also provide this 24/7 locksmith service with up front pricing. These locks function using fingerprint and/or iris technology. It is these types of high tech locks that we install and repair that sets us apart from the competition. Biometric locks come in several styles and are programmable. These high tech locks eliminate the need to have dozens of keys. For residences and businesses, we also offer installation and repair with a less than 30 min response time from our expert technicians. The benefits of biometric locks for businesses is that their exclusivity is perfect for rooms/areas of the office with highly sensitive material only meant for certain employees’ eyes. These locks are based on a numerical keypad that is programmed to allow entry to technicians and guests and then can be changed to ensure security. We make sure that when people need a locksmith, that we assist them with repair and installation as if they are our neighbors in need. Residential and commercial keypad entry locks are preferential to traditional locks because they prevent the necessity to have bulky keys and locate them at inopportune times. Keypad locks in an office also make it easy to go from one room to another, eliminating the need to fumble for a key in your pocket or purse. 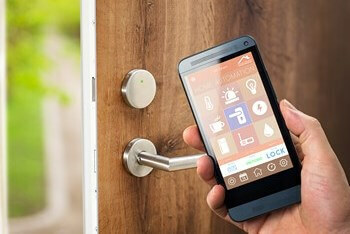 These locks can be programmed to work with Wi-Fi and alert entry. They can also be set with the keypad for convenience. Electronic deadbolts and smartphone-controlled locks are high tech solutions that also feature fingerprint and Bluetooth technology. We have built the trust of our commercial and residential clients by installing and repairing electronic locks. The benefits to homeowners and commercial customers is the versatility and dependability of these locks that can be changed by the owners and still provide complete security. Next time you need a high tech lock installed or repaired in Dallas-Fort Worth, TX and surrounding areas, call the mobile locksmiths at Dallas FW Locksmith. Our technicians come equipped to perform complex tasks when we are on-site for residential or commercial calls. This includes residential and commercial installation and repair of all high tech locks. We provide these high tech services because we are a licensed, bonded, and insured, complete locksmith service that is always prepared for a special situation because all lock situations are different. There is no situation that our technicians do not have the ability to address. All calls to us require special attention and a prompt response. We feel that great customer service is our hallmark, and we seek to listen to our clients’ concerns and further alleviate their stress with the introduction of this new technology. If you have any questions about our services for high tech locks or would like to speak to an expert to determine which one is best for your needs, call us 24/7! 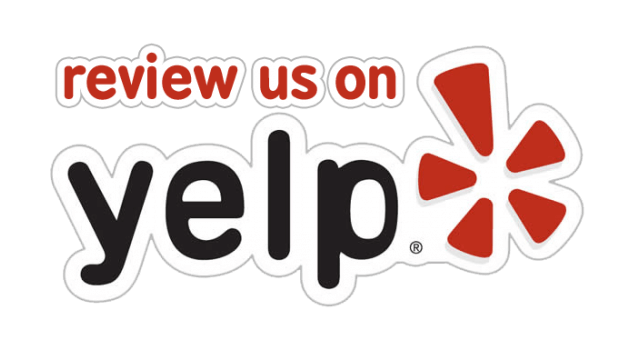 High Tech Locks http://dallasfwlocksmith.com/high-tech-locks/ 3.9/5 based upon 27 reviews.